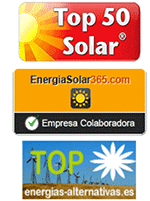 Photovoltaic not only produces savings in the energy consumption part of your utility bill. Peak shaving is a term that begins to listen and that helps to understand another way through which the photovoltaic is able to allow us to save in utility bill. While everyone understands that installing solar panels on your roof can produce electricity that will stop be payable on your bill. We must explain that this production also allows us various savings. On the one hand, the aforementioned savings in electricity we stopped consuming from the grid. On the other hand, in many households the maximum power demanded from the grid occurs in solar hours, for example in summer heat tips with the air conditioning running at its maximum. This power is what sets us the power term that we have contracted and for which we pay every month. This is where the peak shaving comes in. In those hours of maximum demand we are also having a considerable production of our solar facility, so we are going to demand less from the grid. This allows us to reduce the contracted power. The effect is even greater if we include batteries in the system, because although our maximum demanded power is in hours without sun, the batteries can provide us with energy to cover these peaks without having to use all the contracted power of the grid. This allows for example we can go from 5.75 kW contracted to 1.15 kW with the consequent saving, by the installation of a photovoltaic facility with storage. In addition to these savings, it must be noted that a large part of the bill is taxed, and that these taxes are calculated based on the bill expense, therefore, if the bill is paid, less VAT and less electricity tax are paid, reaching more savings. And there may still be more savings! Lately some municipalities can deduct up to 50% of the receipt of the IBI if you install self-consumption photovoltaic and / or have a better energy rating (which is also improved with a self-consumption facility). On the other hand, some autonomous communities allow deducting part of the investment in this type of facilities in their declaration of the income (IRPF). Find out the deductions that are applicable by your city council and autonomous region, can be an extra incentive in addition to those that we all know.